1st day: Arrival at Sofia airport. Transfer to the hotel. Dinner and overnight accommodation. 2nd day: After breakfast - sightseeing tour of the Bulgarian capital. A walking tour round architectural and historical sights of one of the oldest towns in Europe, founded more than 5 thousand years ago. A visit to St George rotunda and St Alexander Nevsky cathedral. Lunch. 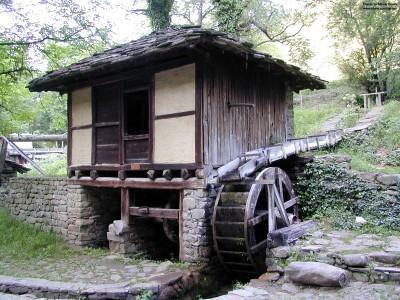 Departure to Veliko Tarnovo. A visit to one of the most attractive Bulgarian villages - Arbanasy with its well preserved houses, churches and monasteries from 16th - 17th centuries. 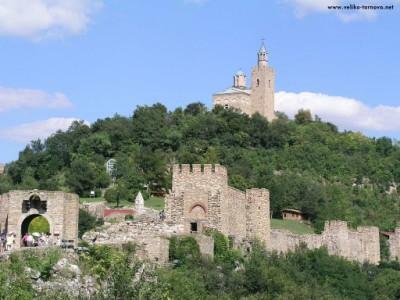 3rd day: After breakfast - sightseeing in the medieval Bulgarian capital - Tarnovo, picturesquely situated on three hills over the river Yantra. Typical architecture of the buildings from 18th and 19th centuries, perched in tiers one above the other on the hills, forms the view of the town. A visit to the fortress Tsarevets, the Patriarchal church and the merchant street of crafts - Samovodska Charshiya. Lunch. Departure to Kazanlak. On the way - a visit to the pretty village of Bozhentsi, typical with its narrow, pebbled streets and houses from 18th century, deep in flowers. 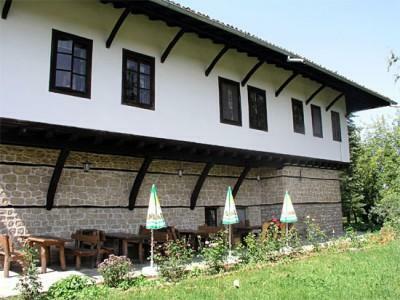 A walk round the Ethnographical museum Ethara, where the authentic way of life and crafts from the Bulgarian Revival period have been restored. Accommodation in Kazanlak. Dinner on a picnic with folk programme. Overnight stay at a hotel. 4th day: After breakfast - sightseeing in Kazanlak - the centre of the Valley of Roses. In the ethnographical complex the traditional production of rose oil is traced back. A visit to the replica of the Thracian tomb from 4th century BC. Departure to Plovdiv. Accommodation in a hotel. After a short break - a visit to the Old town. Picturesquely decorated houses form a unique open-air museum, which makes the atmosphere of the city irresistible. Dinner and overnight accommodation. 5th day: After breakfast - departure to Turkey. Lunch on the way. Passing over the Dardanelle Strait near Chanakkale. 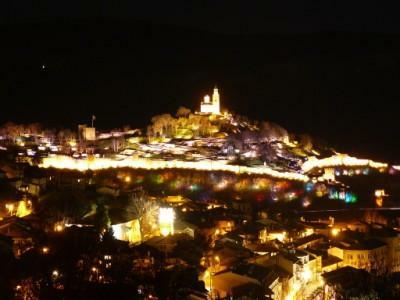 Dinner and overnight in the picturesque town. 6th day: After breakfast - sightseeing in ancient Troy, well-known with its history from 3rd and 4th centuries BC. Lunch. 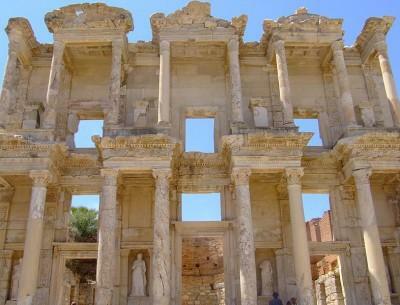 A trip to Pergama with a visit to the Palace, the Amphitheatre, the temple of Zeus and the Library, which treasured about 200 000 papyrus scrolls and was the second most important library in the antiquity. Dinner and overnight in Kusadasi resort. 7th day: After breakfast - a visit to the grave of Virgin Mary in the ancient town of Ephesus. 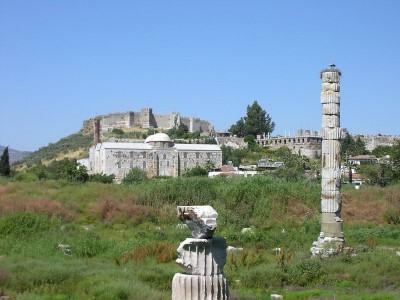 Ephesus was a seaport town with a population of about 250 000 people. 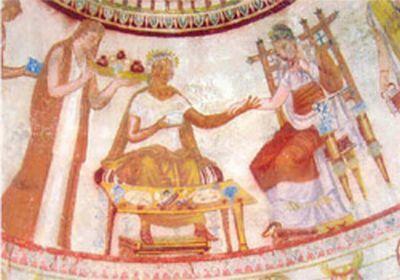 Nowadays due to the efforts of restorers, the ancient city makes a brilliant display of hundreds of architectural treasures - the Library, the temple of Arthemida, the theatre, magnificent colourful mosaics. Lunch. 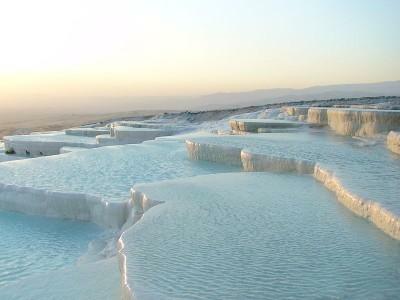 Departure to Pamukkale. 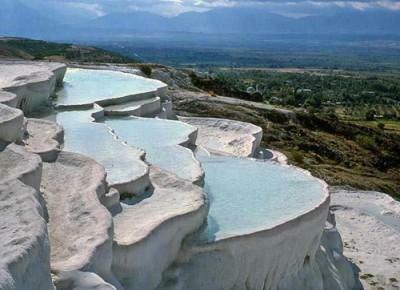 A visit to fantastic rock forms, created by carbonated mineral springs with temperature of 35 degrees. Dinner and overnight accommodation. 8th day: After breakfast - departure to Istanbul. On the way - a visit to a factory for famous hand-made Turkish pottery. Lunch. Dinner and overnight in Istanbul. 9th day: Breakfast. 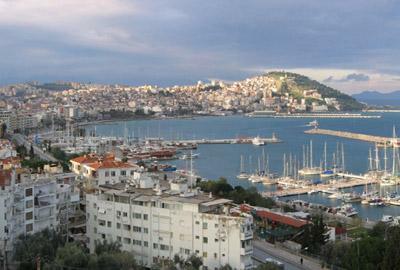 A sightseeing tour of the biggest Turkish city, picturesquely situated on two continents - Europe and Asia. 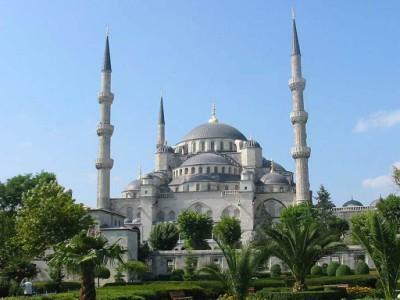 A visit to the Blue Mosque, the Hippodrome, the Theodosius obelisk and the Asian part of the city over the Bosphorus bridge. Lunch. In the afternoon - free time for shopping. In the evening on request for additional payment - a visit to a night club with dinner and rich variety show, including famous belly dances. Overnight accommodation. 10th day: Breakfast. Departure for Bulgaria. Dinner and overnight in Sofia. 11th day: Breakfast. Transfer to the airport. Departure. Children under 12 � 70% of the price for adults.